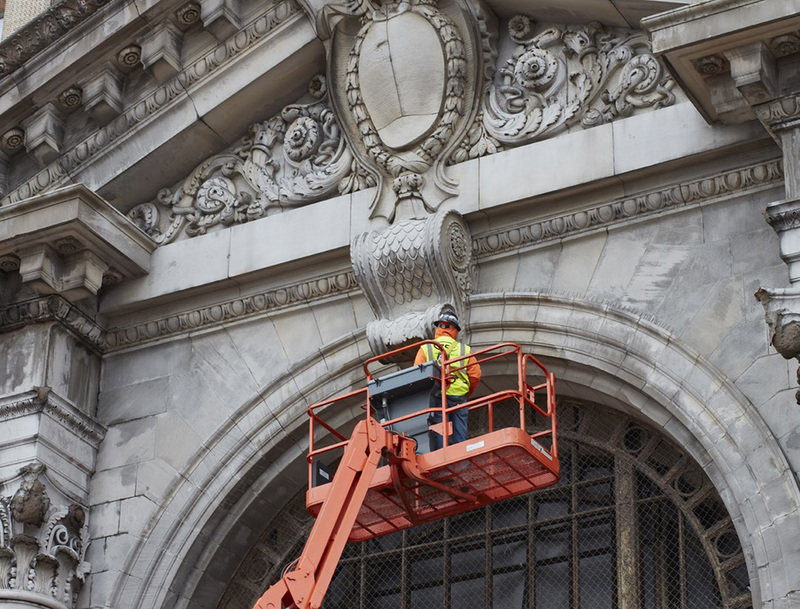 Ford has begun its renovation of the 105-year-old Michigan Central Station. The three-part project is expected to have an estimated cost of $740 million over the next four years. The first step of the project is the winterization of the building that has sat vacant for the past three decades. Michigan Central Station needs to be dried out and stabilized from that extended period of neglect. Phase two involves replacing mechanical and electrical systems and restoring exterior masonry. The final phase entails finishing and restoring the interior. 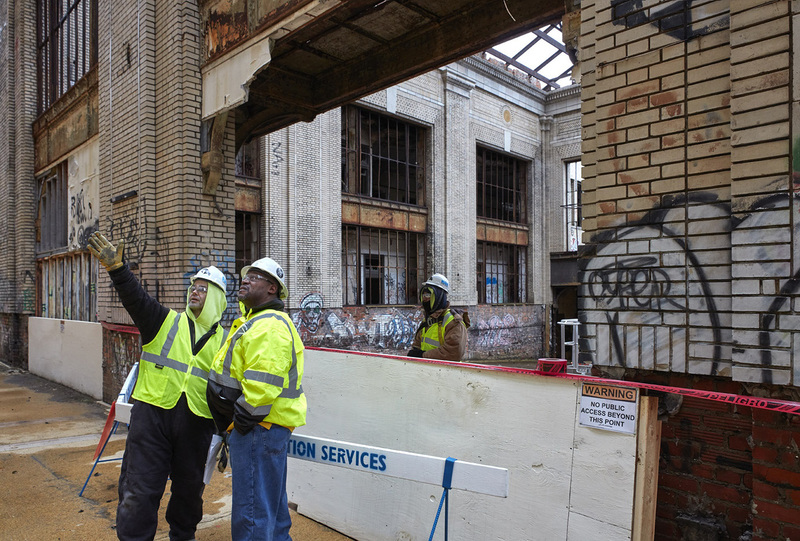 Without the winterization, Michigan Central Station likely would have been declared a total loss in five to 10 years, according to officials from the project’s construction managers. Once the building is dried out – a process that will take around six months for the majority of the structure – the construction team will move on to the second phase, which includes replacing mechanical and electrical systems and restoring the exterior masonry. The train station is comprised of eight acres of masonry and certain aspects of repair and restoration can only be done in good weather. In June, Ford Motor Company acquired the iconic train station and plans to transform it and surrounding properties into a 1.2-million-square-foot innovation campus where Ford and its partners will work on autonomous and electric vehicle businesses, and design urban mobility services and solutions. The project aims to bring approximately 2,500 Ford employees to Corktown, most from the company’s mobility team, and an additional 2,500 jobs with Ford’s partners and suppliers. Ford has received an initial $207 million in tax breaks for the Michigan Central Station restoration. The break came with the project’s designation as a Michigan Strategic Fund renaissance zone. While that’s a healthy chunk of money, it’s not all that Ford is seeking. In total, it would like to receive $238 million to eliminate virtually any property taxes on the Michigan Central Station site. The 104-year-old former train station that Ford Motor Company bought in Detroit’s historic Corktown neighborhood set the automaker back a total of $90 million, according to a disclosure on Detroit’s property sales history page. At that price, Ford paid $150 per square foot for the 600,000-square-foot Michigan Central Station – a tremendous rate for a decrepit building that was planned for demolition as recently as 2009. Previous story Were Low Ford Sedan Sales Caused By Critics And History?